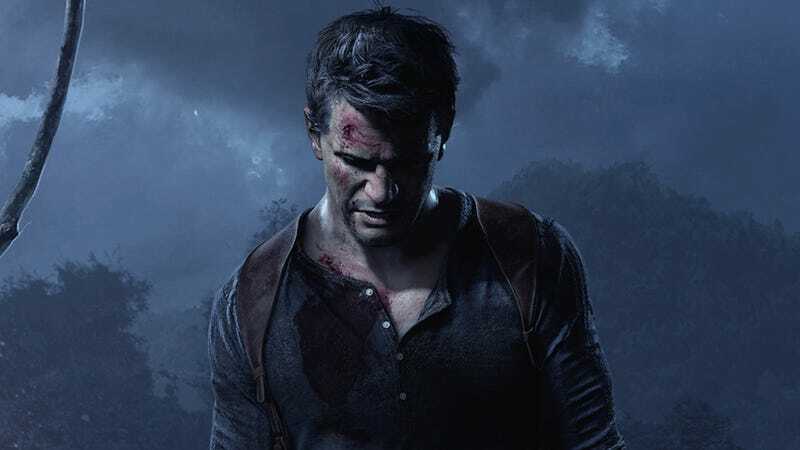 The next entry in Naughty Dog's well-loved action/adventure franchise won't be out this year, according to Uncharted 4 directors Bruce Straley and Neil Druckmann. Since we showed you our first gameplay reveal of Uncharted 4: A Thief's End, more of the game and story have come together, and it's become clear to us that this game is much more ambitious than we originally envisioned. After spending so many years with Nathan Drake, he means a lot to the team, and telling the climactic chapter of his adventures is a task we don't take lightly – this game deserves every bit of the attention to detail, precise pacing, and nuanced storytelling Naughty Dog is known for. So we've made the difficult choice of pushing the game's release date. Giving us a few extra months will make certain that Uncharted 4: A Thief's End not only meets the team's high standards but the high standards that gamers have come to expect from a Naughty Dog title. Thank you for your patience – we know the extra wait will be excruciating, but you'll see it will be worth it as we reveal more about Uncharted 4 over the next year. The team at Naughty Dog will be heads down working through 2015 making sure that Nathan Drake's story gets the closure it deserves. Come Spring 2016, you and Nate are in for one thrilling, emotional ride. Uncharted 4 will be the series' debut entry on Sony's newest home console and was shown off last December at the company's first PlayStation Experience event. Since Uncharted 3 came out in 2011, various high-profile members of Naughty Dog have left the studio, including the franchise's former head writer and creative director Amy Hennig, lead designer Richard Lemarchand and Justin Richmond. who was the game director for Uncharted 4. Hearing that a big exclusive is getting moved out of the calendar year isn't great for PS4 owners, especially after the terrible reception for console exclusive The Order: 1886. But hopefully the decision means that Uncharted 4 will work as intended at launch. The next big PS4 release will be Bloodborne, which comes to the PS4 in a few weeks. Note: An earlier version of this post said that Bloodborne would also be coming to PC. That is incorrect. I regret the error.